When looking ahead to the coming year, gardeners sometimes first look back to notes they've made in a garden journal. These might include new plants to try, obscure heirloom varieties of tomatoes, intriguing color schemes, improvements to be made, shifts toward organic growing, and other "notes to self" are all examples. Other sources of inspiration are seed catalogs, the Proven Winners Gardeners' Idea Book, and suggestions by garden and landscape peers made via social media. This week on #Plantchat swap ideas for some of your favorite plants and 2015 New Year's Plant Resolutions with the team at Proven Winners! Join @CoronaTools and #plantchat co-partner, Stacey Hirvala representing Proven Winners @Proven_Winners on this week's topic, Plant Resolutions. 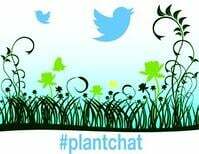 The live chat begins Monday, January 5, 2015 at 11 a.m. PST / 2 p.m. EST, were we come together with green industry experts and fellow horticultural tweeps each week to discuss all things related to plants and horticulture, since 2014. Plant Siting - Planting the right plant in the right spot. Don't hesitate to move something if it isn't performing well. 4-Seasons! - Create a 4 season landscape- there's really no excuse for less! Enlist a Friend - Get a friend hooked on gardening. Share your plants, knowledge and most important your enthusiasm season after season. Connect and share with the green industry leaders live on Twitter and 24/7 to learn and share about hot topics in the green industry. Now plantchat is part of the Green Industry Leaders Network (GILN) presented by Corona and its partners. We are an alliance of professional organizations who are advancing the horticulture, tree care, and landscaping industries!